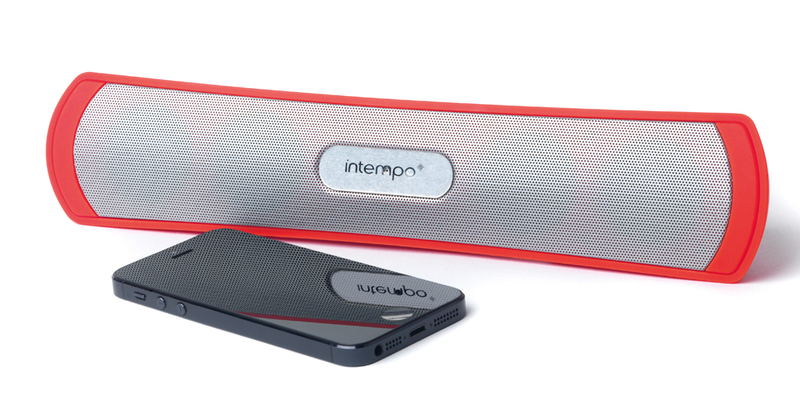 Intempo combines the latest, cutting edge technology and trending fashions to create technologically advanced and innovative audio that not only looks great but sounds even better. 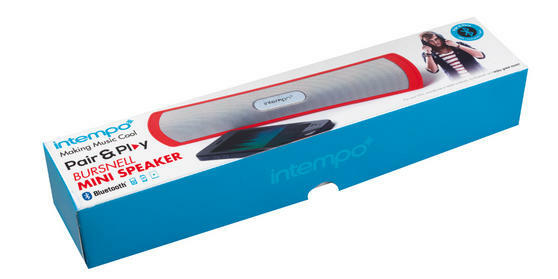 This red Bursnell speaker has microphone and digital volume control, a built-in aux jack and Bluetooth function, so you can pair your MP3, Smartphone or tablet wirelessly and enjoy great music instantly. This portable speaker can be used almost anywhere, and is a must have for any music lover. It is the perfect way to really make your music come alive, wherever you are!